“It’s not going to impact Earth but it’s going to come very close to us,” explains Earle, a graduate student in the Department of Earth, Atmospheric and Planetary Sciences. Apophis is an asteroid the size of an aircraft carrier that will come within 5.5 Earth radii in 2029. As part of 16.83 (Space Systems Engineering), Earle is one of 20 students tasked with designing a space mission to measure the asteroid's internal structure and potential long-term impact hazard. Professor of planetary sciences Richard Binzel is leading 16.83 with David Miller, the Jerome C. Hunsaker Professor of Aeronautics and Astronautics, who recently returned to MIT after serving as chief technologist for NASA. Inspired by Apophis, the professors teamed up to issue MIT students a challenge: Build a major science robotics mission that marries planetary defense with scientific learning. “You don’t need to get into the specifics right at the beginning,” coaches Binzel, who is one of the world’s top scientists in the study of asteroids and Pluto. The students want to get their performance and the science just right, since asteroid flyby events on the order of Apophis happen only once about every 1,000 years. The students' general mission objectives include characterizing the asteroid’s shape, size, density, surface topography, surface composition, rotation rate, and spin state. A NASA spacecraft would have to be launched in August of 2026 to reach the observation position in time. The objective is to get the craft close enough to Apophis to conduct measurements before, during, and after the 2029 event. Surprisingly, the student-designed mission is the first significant attempt to take on Apophis, which is 350 meters across with a mass of 20 million metric tons. At NASA, Miller says people tend to split into a couple of camps: those in space flight (or the “space cadets,” like him) and the scientists (like Binzel, whom he refers to as an “asteroid hunter extraordinaire”). Project Apophis, as Binzel likes to say, is a “kick-starter” — designed to encourage further studies by international space agencies. And for good reason, Miller adds. The outcome of that planetary torque will teach scientists more about the construction of asteroids, which were some of the early building blocks of our own solar system. New information could lead to a deeper understanding of the formation of our solar system and the more than 4,000 known planets around other stars. More pragmatically, what we learn from the Apophis encounter could strengthen our knowledge of how to mount a planetary defense in the event an asteroid was ever discovered and verified to be on an impact course. On the big day, the room is quiet, and the students are dressed up. Even Mundo appears in a button-up (albeit wrinkled) shirt, with his hair in a tidy bun. Among the listening experts are NASA Planetary Defense Officer Lindley Johnson, who directs a program for detecting and tracking near-Earth objects; Paul Chodas, who heads the Center for Near-Earth Objects at JPL; and Farah Alibay PhD '14 a JPL systems engineer. The practice sessions pay off. The students hit a rhythm, and take tough questions as smaller subteams, based on areas of expertise. “How well do you know the orbit of Apophis after the flyby event?” “Do you have the equipment to change your operation plans if there’s a change in the asteroid?” “Do you know what the rotation vector of the asteroid is?" 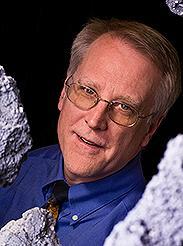 Richard Binzel is a Professor of Planetary Sciences and an MIT Margaret MacVicar Faculty Fellow. He is the inventor of the Torino Scale, a method for categorizing the impact hazard associated with near-Earth objects (NEOs) such as asteroids and comets. 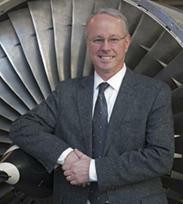 David Miller is the Jerome Hunsaker Professor of Aeronautics and Astronautics. He is the director of the Space Systems Lab and former NASA chief technologist.